Yesterday I finally started my writing group here in my beautiful home. It's been a long time coming. I was in a writing group back in '03-'05 and I have missed it something awful. There is something magical about a writing group, as if ideas flow through the group into the collective pens and onto each person's page. Like a channeling of sorts <insert new age California fruits 'n nuts hippy quip here>. It was unseasonably warm yesterday for January. We should have rain by now. That worries me, but on the flip-side, it's days like those that have kept me warm here for 16 years and why I can't leave. One of among many other Cali delights. So I had the balcony door wide open to highlight the sprawling sunlit view of the giant roach clip in the west. I was just about to share my live writing from the prompt I had given our group... "The last time I kissed him/her..." as I had once again taken a stab at a scene I've been writing over and over for five years now about the last time I saw my ex, Bryce, alive before his suicide. It's a painfully sweet scene. More painful than sweet. Quite telling of my muse for this next book: the degradation of a renaissance man. Just as I was about to read, something flew through the open balcony door. A bird? A big bee? So fast, what is that? He was a big one. With a pointy beak and wings that could cut a fly in two. I thought and said, "Wow. It must be tiring flopping one's wings like that. I hope the little guy rests?" "This is auspicious," Jenny from Denmark said. We were all nervous, yet calm. I could tell that while we each sit with dying people every week, we couldn't stand the idea of that little hummingbird dying in my living room. Not as we were in the midst of writing about death, loss, spirituality, and meaning. Now really, what a cruel joke that would be? Ben, the guy and tallest of our group, said, "I think I'll move over here so he doesn't see me as an imposing obstacle." I couldn't look at first and kept turning away when he'd flop into the high window...his wings hitting the glass...over...and over...again, thinking it was an exit to the outside world. Then Ben had a thought. "Can those high windows open?" he said. I kept wishing we had a butterfly net. How DOES one safely catch a hummingbird? We have a long pole that opens those high windows, so Ben fetched it. And just as I was about to hand off the responsibility to "the man of the group" (something we Daddy-Girls tend to default to in stressful moments when men are around), I pulled up all the calm from all the meditation I've done, and the 15 minutes we had just done together before we started writing, stood on a step ladder, and slowly raised the pole toward the high window and the bird, and I effortlessly opened the window. The hummingbird landed on the ledge as if happy to rest for a bit. In no rush to leave. "Go on, guy. Fly away. Move left. There now. Through the window. Freedom is near," were just some of the phrases whispered by the three meditating writers. And off he flew, eventually, through the crack on the underside of the window. We all breathed a collective sigh of relief. "...The first time is more of an awakening, the second is the opportunity to open your heart and accept the healing. The bird came not just to your house, but inside. You faced with experience with a gentle approach in catching and releasing the bird without harming it. This reflects your own personal healing journey, to face your own experiences with grace. You remind me of my own experience in my teen years when I rescued many a hummingbird as they frantically tried to escape through the boathouse windows, catching them in a fishing net and carrying them outside. This hummingbird was willing to risk its own precious life to help you in your journey, but there was no other option, we do what we must do without thought of our own wellbeing. 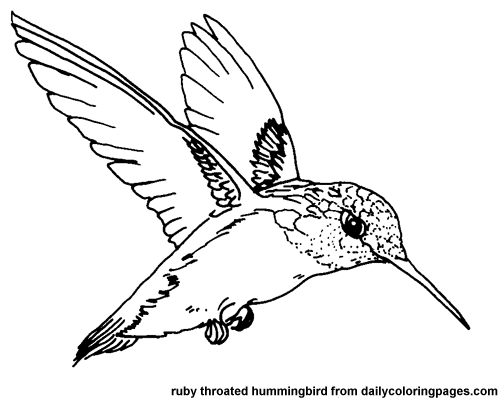 The first hummingbird came to awaken and heal you so you could drive home safely. The second came to give you opportunity to give back. ..."
(c) 2005-2015 Amanda Coggin. Travel theme. Powered by Blogger.